As a professional waste recycling equipment manufacturer, Beston Group can supply you a series of plants to achieve waste recycling. We have successfully exported our municipal solid waste sorting machine to Uzbekistan, and people there think highly about our plant. Recently, our waste plastic pyrolysis plant was also installed there to recycle the waste plastic. Plastic waste pyrolysis machine can convert waste plastic into oil, carbon black and combustible. As a mature manufacturer, we can provide you with batch pyrolysis plant, semi-continuous pyrolysis machine and fully continuous plant. 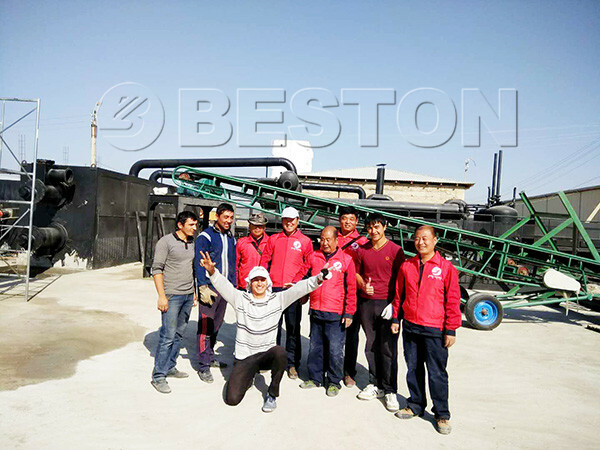 Our customer is quite satisfied with our BLL-20 waste pyrolysis plant because it is good in quality. And our professional technicians also give them a lot of help in installing and running the machine. You can send us an email to get what you want. We will try our best to satisfy your demand.